Are you ready to seize the opportunities that lead to extraordinary results? Are you ready to inspire others to dream, to encourage their active participation, and to stand beside them when the going gets tough? More than ever our families, our organizations, our communities, our nations, our world is in need of leaders who are willing to take on difficult challenges. The Leadership Challenge® Workshop will prepare you to do just that to take the initiative, to seize opportunities, to make a difference. Backed by over 25 years of original research, The Leadership Challenge® Workshop is a unique and intense discovery process created by bestselling authors, Jim Kouzes and Barry Posner. The workshop demystifies the concept of leadership and approaches it as learnable set of behaviors. In other words, forget about job titles, forget about position or rank or work experience. Leadership is about what you do. As you make your way through this workbook, you will soon discover The Leadership Challenge® Workshop experience goes beyond the typical training session. It might even change your life. 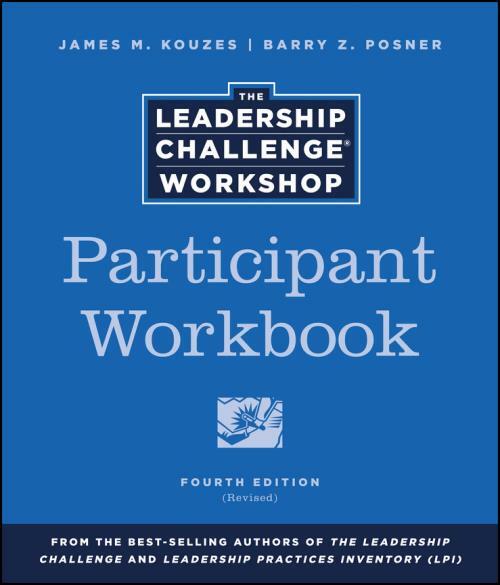 James M. Kouzes and Barry Z. Posner are the bestselling coauthors of The Leadership Challenge, A Leader′s Legacy, Credibility, Encouraging the Heart, and The Leadership Challenge Workbook, and over a dozen other books and workbooks on leadership. They also developed the highly–acclaimed Leadership Practices Inventory (LPI), a 360–degree assessment tool based on The Five Practices. They are among the most sought–after scholars and educators on the subjects of leadership and leadership development.